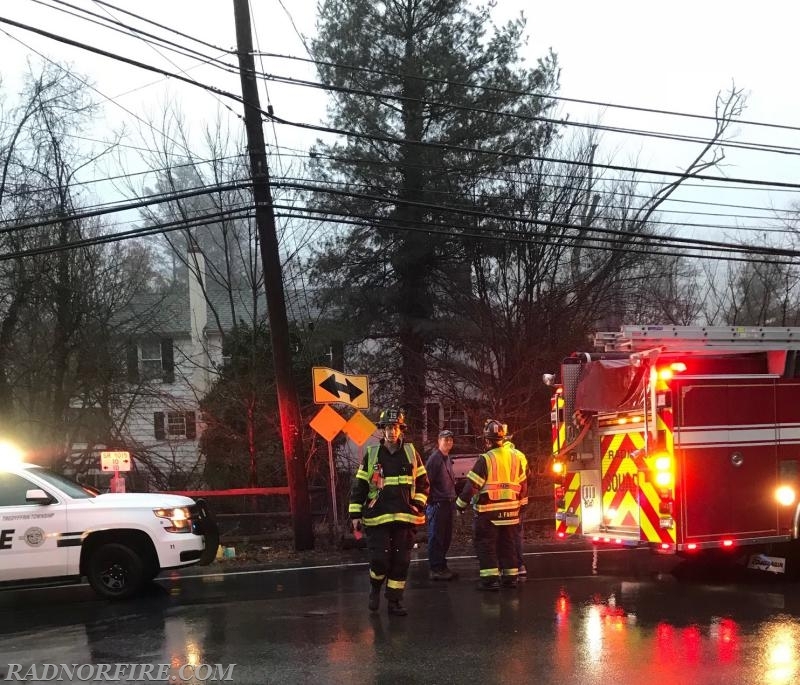 Radnor Fire Company responded early Sunday morning to reports of a car being driven into a house at the intersection of Upper Gulph and King of Prussia Roads on the border of Radnor in Tredyffrin township. 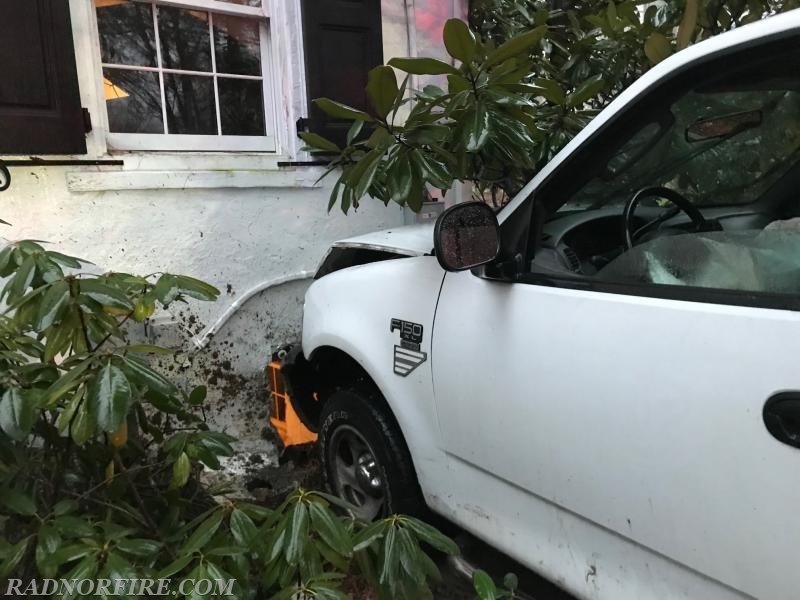 Chief 15, Squad 15 and a crew of Radnor firefighters arrived on scene shortly after 7 a.m. to find a Ford F150 pickup truck had struck the west wall of a residence at the intersection. 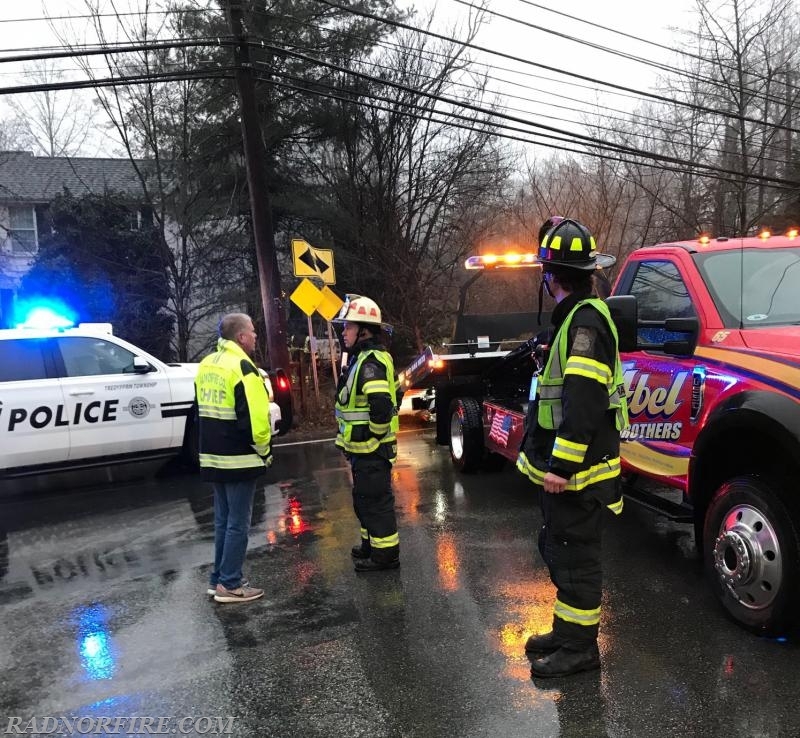 The driver had been traveling east on Upper Gulph Road and failed to stop at the intersection. 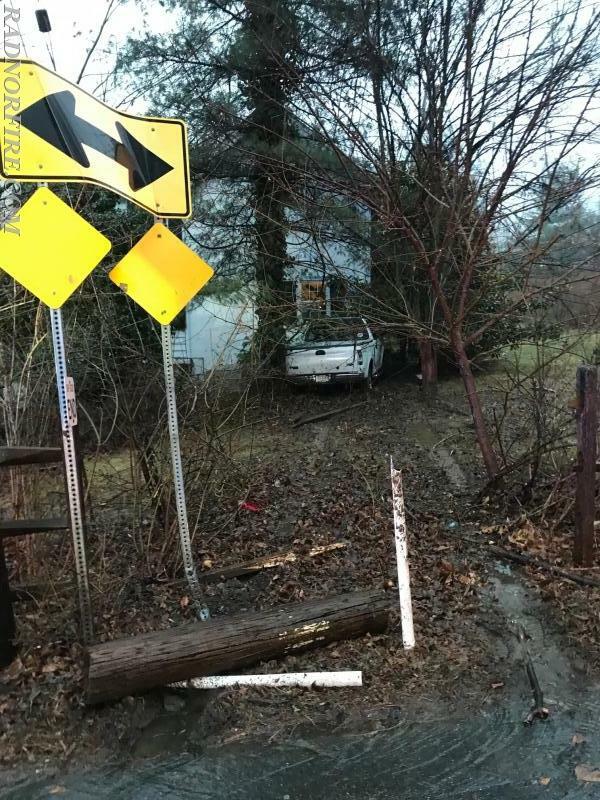 The driver did not require medical attention and no other injuries were reported. 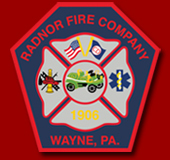 Firefighters checked and cleared the basement of the property for gas leaks and electrical hazards. 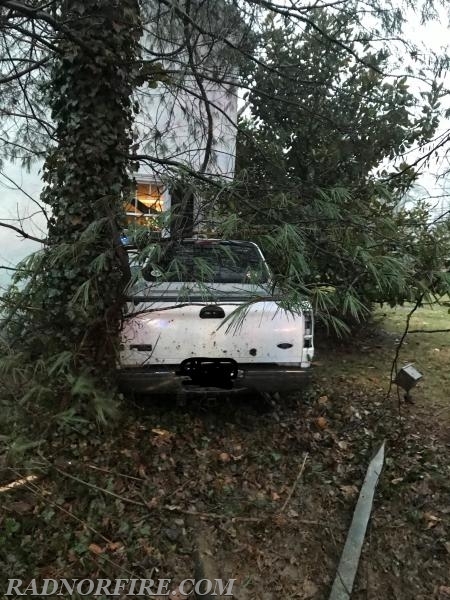 A tow truck removed the vehicle from the property and crews were cleared from the scene by approximately 7:30 a.m.